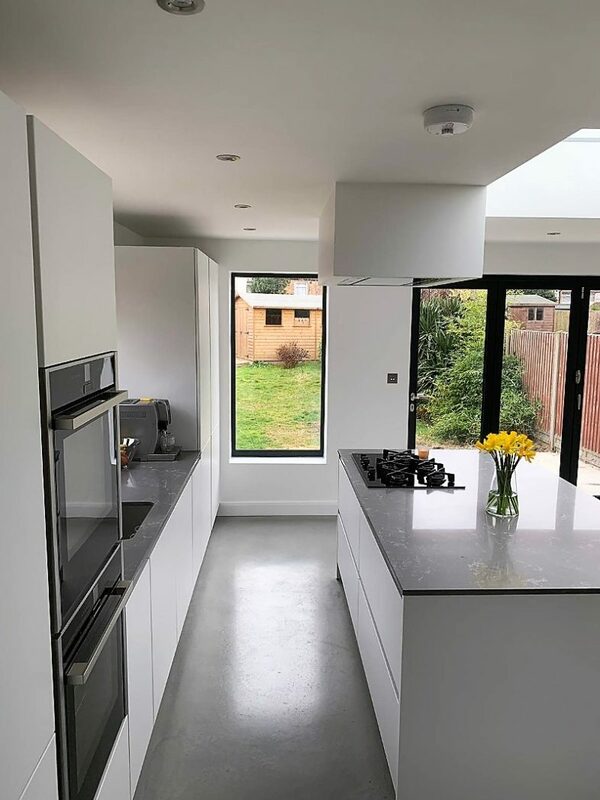 Thank you to our customers Ricky & John from North London for these great photos. 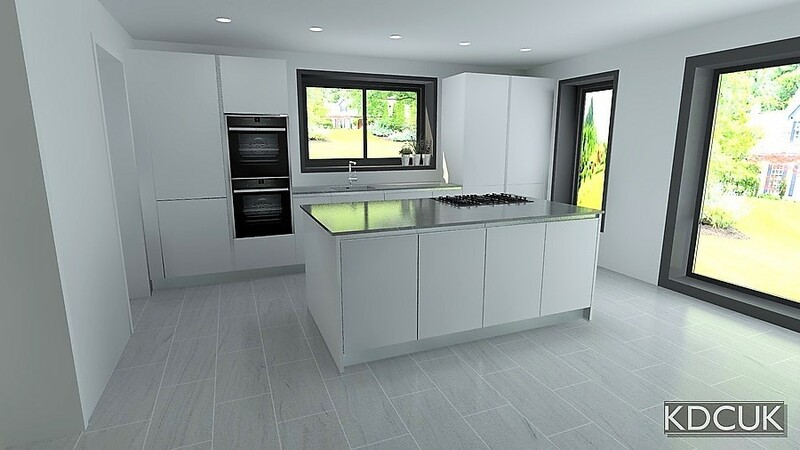 The first 2 images show the completed kitchen, the others are the original cad images. 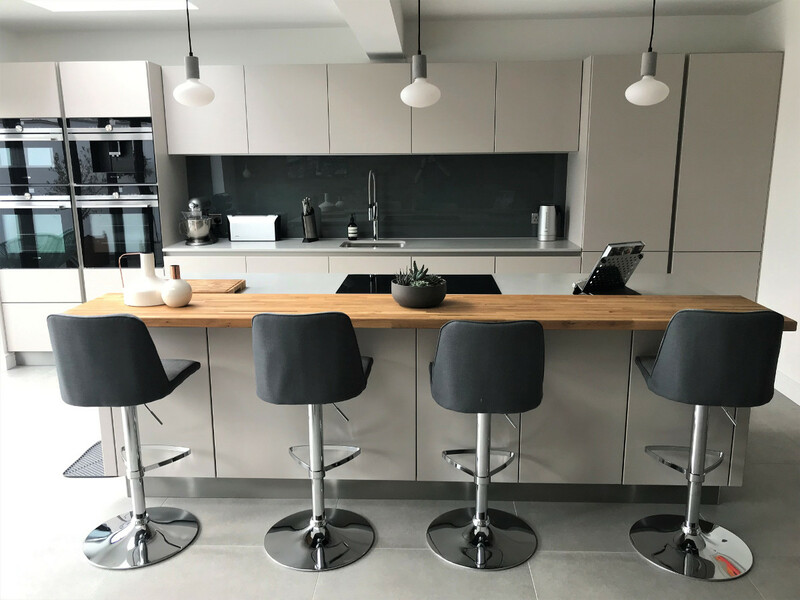 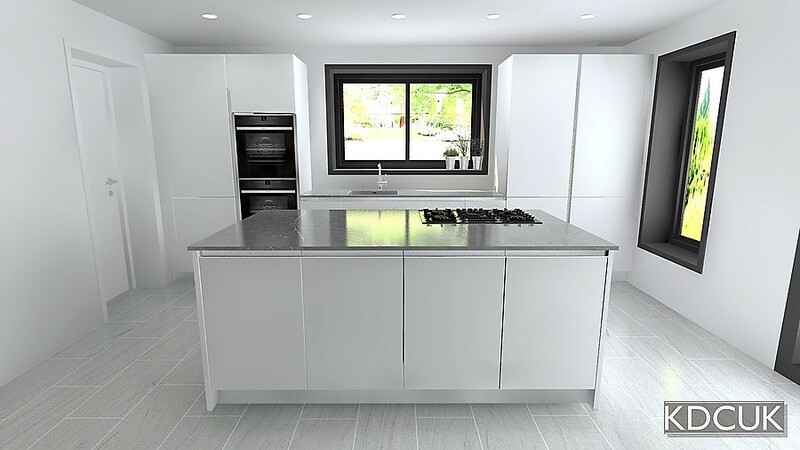 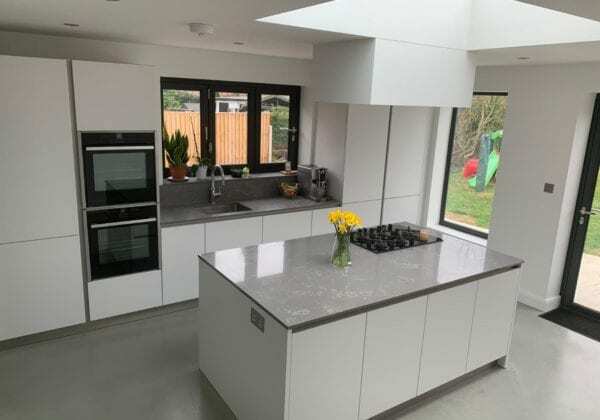 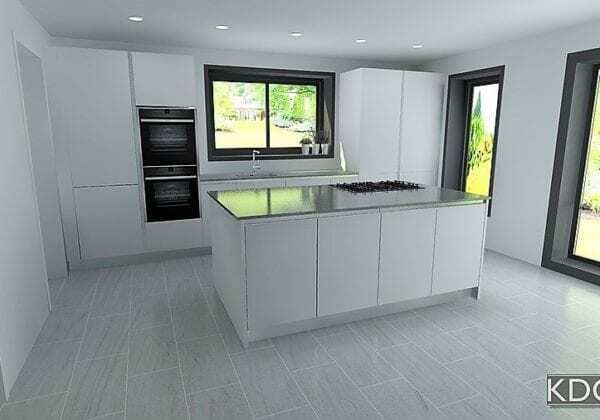 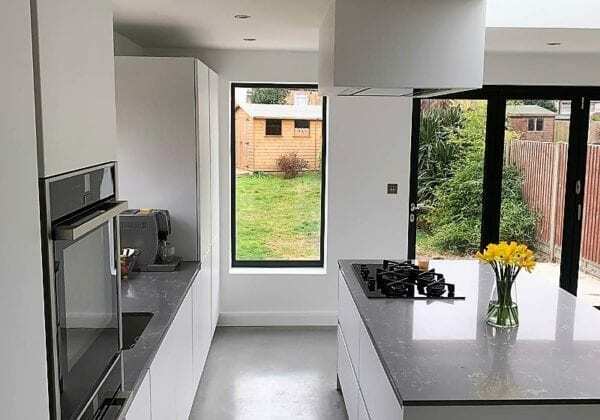 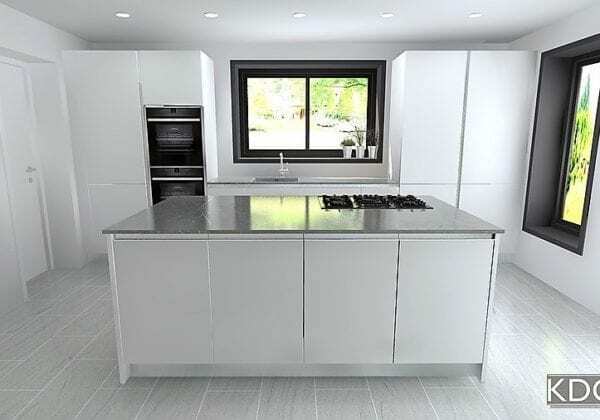 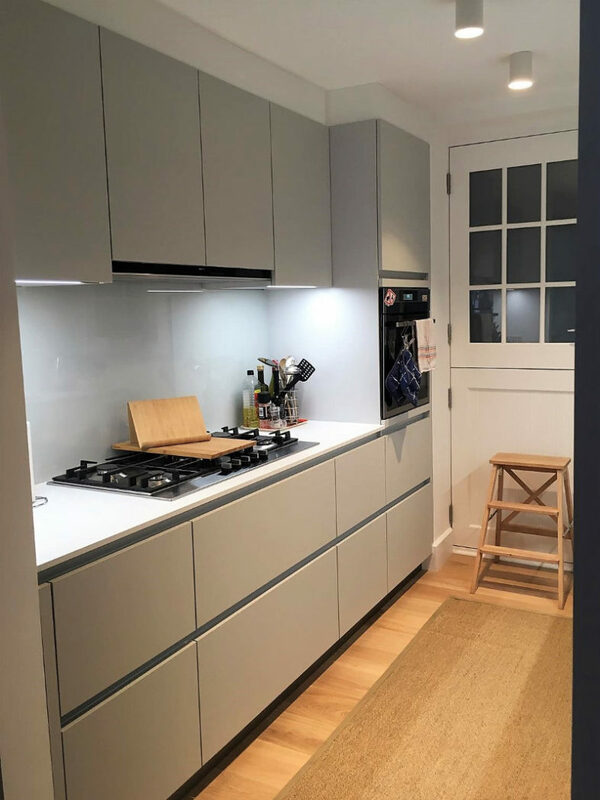 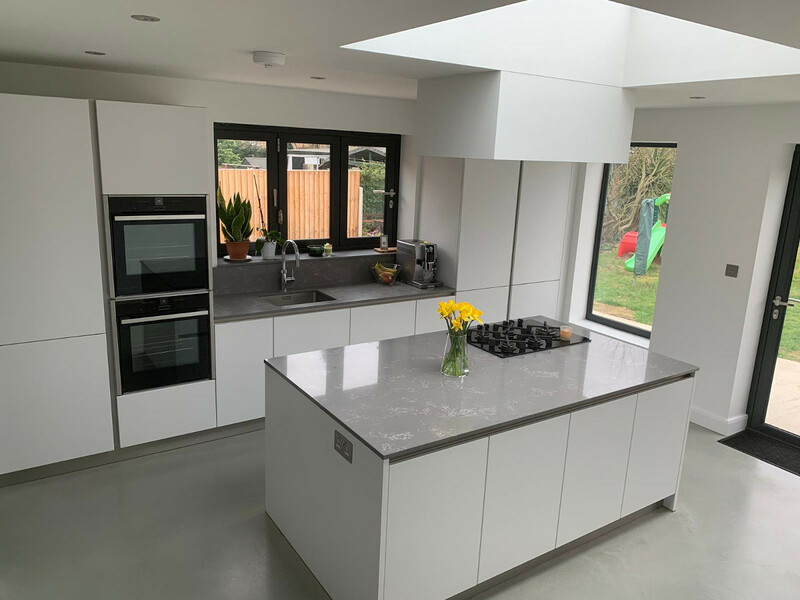 They chose a Next125 kitchen with Crystal White satin lacquer doors with contrasting 20 mm Indigo grey stone worktops.